Yesterday, I decided that I am going to start my own support group for parents who think they are not doing a good job. I used to think that being in a successful adult relationship was the hardest thing in the world, but I have changed my mind. Being a good parent to a challenging child is the hardest job I will ever have—and I am not using the term “challenging” loosely. Recently, I received professional confirmation of something I have intuitively known for most of my daughter’s life: she has ADHD (Attention Deficit Hyperactivity Disorder) with Oppositionality, meaning she likes to argue—about everything. As a parent, I have been reluctant to write about this because I want to protect my daughter. I am realizing, though, that I really need a support group because frankly, being a single mom to a challenging child on a daily basis is mentally and emotionally exhausting. I imagine if you are the parent—single or not—of a challenging child, you probably feel this way, too. 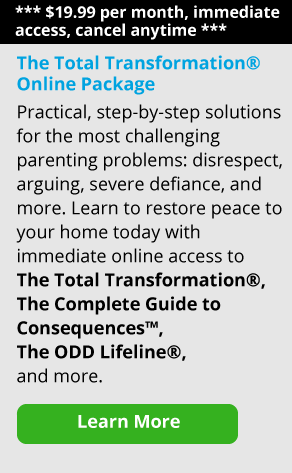 Even if you are a mom or dad with an “average” challenging child (meaning one who has not been diagnosed with any type of disorder), my guess is that you know a child who: has trouble focusing; argues that it isn’t really raining; rolls her eyes when reprimanded for doing something she shouldn’t; or generally asks “why?” all the time, no matter what her parent tells her. For all of you who can relate, I feel your pain; and that’s why I have now decided to write about my own child. If you comment on this article, then essentially, I am creating my own support group and that will help me, too. Assuming you want to be part of my support group, here is my problem: when a doctor or psychologist says, “Your kid has ADHD,” usually the next thing out of his or her mouth is, “We can fix that with medication.” I have heard this recommendation several times and I can’t help thinking, “For my kid or for me?” I never actually say those words out loud. Some days, though, it seems to come to that—which one of us is going to be medicated so we can both deal with this more effectively and incur minimal damage? I realize my kid will probably end up in therapy, and I am not worried about that. In fact, I believe everyone needs therapy at some point in life. At least once. The professional who diagnoses your child focuses on helping your child. That’s a good thing, but what about focusing on how to help you manage your child? What about telling you, the mom or dad, that you really are a good parent and it’s not your fault your kid has improperly functioning neurotransmitters or extremely low levels of dopamine in his system (both common factors in kids with ADD/ADHD)? Yes, I am quite aware of this. People are still telling me this because now my daughter is eight and even closer to becoming a teenager with out-of-control hormones and peer pressure and a zillion other factors that will potentially make both our lives even more challenging and difficult. I know this. I get it. I am doing everything I can to help my kid—except medicating her. What if you are the parent of an ADD/ADHD kid and you don’t believe in medicating him? What if you are changing your child’s diet based on food sensitivity tests; teaching your kid how to meditate and other effective anger/self-control management techniques, and you just don’t think giving him chemical substances with long term side effects makes sense? How do you help your child holistically, essentially going against mainstream society? I recently read that parenting a child with ADD/ADHD is like “parenting times five.” That would explain why I am continually amazed and impressed by any parent who can manage multiple kids at the same time when I seem to be at capacity with just one. So, I will continue to research holistic options and treatment for children like mine and yours. Maybe we can figure this out together. At the very least, we will hopefully come to realize that we are not alone in our struggles.